We believe these core principles give shape to how we work together to support the development of our students. They are also the core principles on which we are building our community and planning our curriculum. St Clare of Assisi prides itself in providing a very rich and comprehensive curriculum, complemented by a wide range of co-curricular activities and programs to enrich learning. The school's curriculum, with a strong focus on literacy and numeracy, also demonstrates a commitment to individual differences and engages students of all ability levels. The school balances its formal curriculum with an emphasis on creativity, performing arts and creative thinking. The school achieves its vision by ensuring each student is welcome, safe, nurtured and encouraged to do their personal best and is recognised as a valuable member of the school community. We are blessed with a committed and generous staff, working with supportive and active parents and students who take pride in their school. The strong sense of school spirit and ethos combined with the modern and contemporary facilities make St Clare of Assisi a school of choice for many students in the Tuggeranong’s Lanyon Valley. 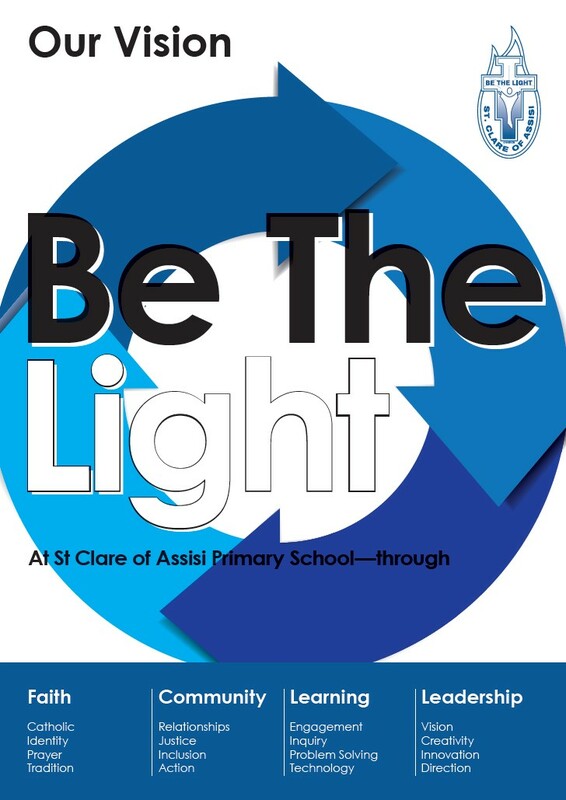 This website is a brief overview of some of the features of St Clare of Assisi Primary School. No doubt, there will be other matters you will wish to discuss. I invite you to make contact with the school to meet with me and to view the facilities.